Our teeth help to maintain the jawbones and provide support for facial muscles. 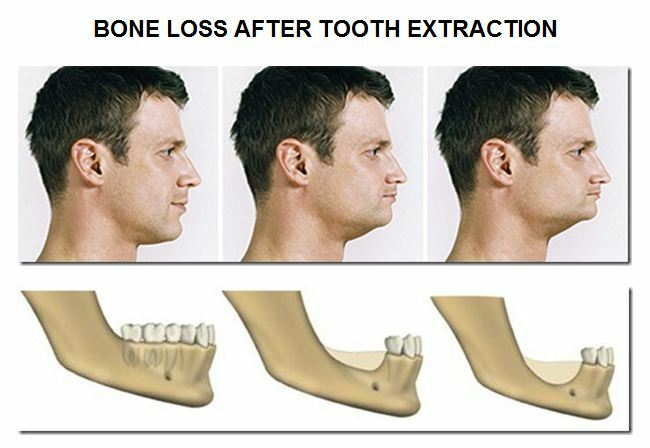 When one loses their teeth they also lose their support mechanism which leads to the support of or facial structure. The chin moves closer to the nose and the muscles and skin sag and droop. This causes a premature elderly appearance. Dental Implants are the only treatment option that preserves and stimulates the jaw bone.